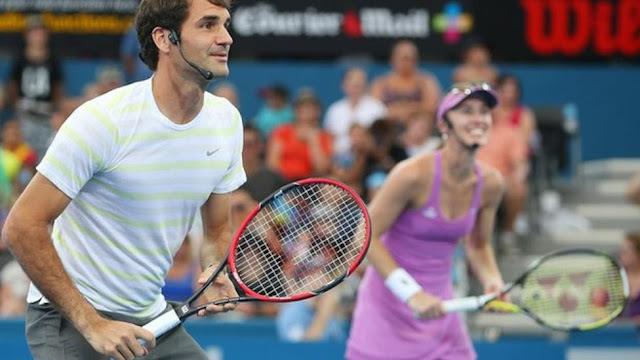 Federer, 34, and Hingis last played mixed doubles together at the Hopman Cup in Australia in 2001. The 17-time Grand Slam champion said he is "really excited". "I looked up to her when I was younger, I thought she was the most unbelievable talent," added Federer, who is a year younger than Hingis. "She's almost my age and she was winning Grand Slams while I was still at the national tennis centre and I couldn't believe how good she was." Hingis, 35, has won five Grand Slam singles titles in her career, including Wimbledon in 1997 at the age of 16. She came out of retirement for a second time in 2013 and has since enjoyed great doubles success, winning five titles in 2015, including the mixed doubles and the women's doubles at the US Open.